Midsummer seems a good time to send news of Carmel, and we have much to share with you! 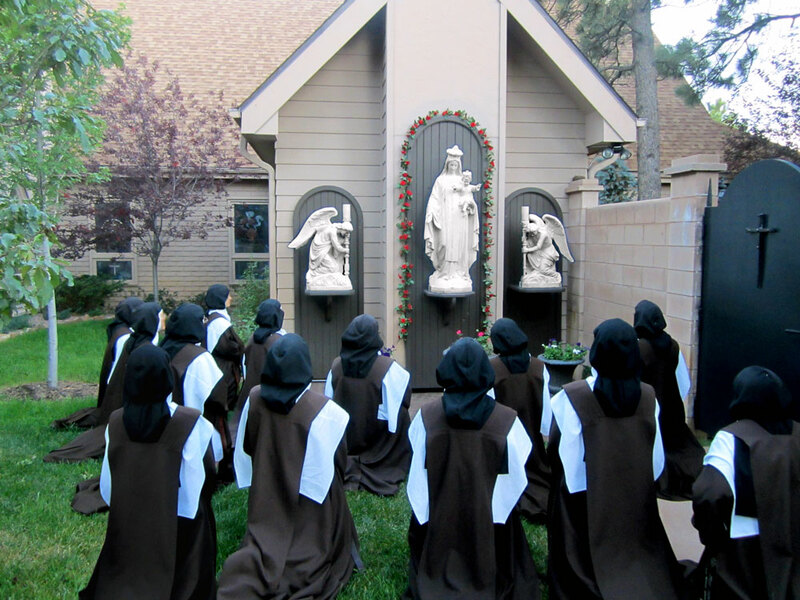 July is an especially “Carmelite” month, with special liturgical feast days that keep us prayerfully close to Heaven and those who dwell there. We will share later in this letter our celebration of the greatest of these joyous feasts, that of Our Lady of Mount Carmel. 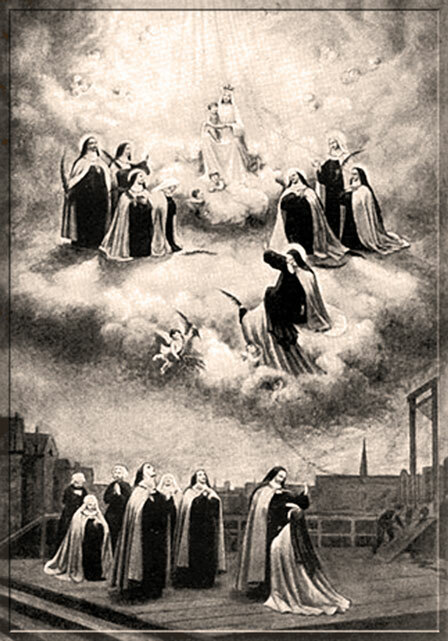 But since July begins with our national holiday, Independence Day, we think it appropriate to begin our letter with some thoughts about FREEDOM and the Martyr-Saints who were Carmelite nuns at Compiègne in 18th century France. Their martyrdom took place July 17, 1794. These sixteen wonderful women were martyred as a Community during the French Revolution’s “Great Terror,” and they prepared for it with anguished prayer and self-sacrifice. They offered their lives to restore peace to a very unsettled and unstable France, as well as to the persecuted Church there. Their fascinating and moving story may be found in the remarkable book, To Quell the Terror, which we are pleased to offer again on our web site. Although many popular history books proclaim the French Revolution in glowing terms of success, the irony of those torturous days was that the cry for liberty found its fulfillment in the violent eradication of the liberty of both the rich and poor of France. More objective historians in our own day, even non-Christians, admit that the revolution had for one of its foremost purposes the elimination of Christianity – of any belief at all in God. The record of the laws passed from 1789 onwards give public testimony of this fact. It is not our purpose here to chronicle the horrific events of that era, but to share the reality of the ultimate freedom of our imprisoned and condemned Carmelite martyrs. Who was more free than these beautiful souls, who, refusing to follow the tenets of a Godless government supposedly bent on freeing people, willingly endured injustice and persecution and offered their lives for the conversion and peace of their nation? They were given the light of grace to believe that their sacrifice could be reparative. Their union with their Beloved Master and adherence to His Law called them to a love which surpassed the ordinary impulse of human fear in these worst of circumstances. So heroically did they overcome their natural repugnance to the gruesome execution in store for them, that they chanted calmly and festively the psalms and the Salve Regina on their way to the guillotine, joyous as brides processing to their wedding feast. In our “land of the free and the home of the brave,” and quite generally in these modern, truly more and more post-Christian times in which we live, the tendency is to have notions of liberty and freedom quite different from God’s view of liberty. Liberty in the eyes of the world, is freedom to disobey as well as to obey, freedom to do evil as well as to do good. True liberty, according to the saints, is not freedom to disobey but only to obey, it is not freedom to do evil, but only to do good… Liberty in the eyes of the world is the power to choose between good and evil, between duty and selfish whims, between obedience and revolt. It is the power to say with Satan: “I will not obey.” … If liberty is thus understood, clearly it is impossible to see how Jesus was free, He who never rebelled against divine authority or the commandments of His Father, and who could not rebel against them. The soul that is attached to anything however much good there may be in it will not arrive at the liberty of divine union. For whether it be a strong wire rope or a slender and delicate thread that holds the bird, it matters not, if it really holds it fast; for until the cord be broken the bird cannot fly. Who is more truly independent than those who abandon themselves to God’s will and loving Providence – wholly and confidently dependent on God alone? The Carthusian author wrote in They Speak By Silences that those who are abandoned to the divine Will have that “holy indifference which is at the same time holy independence: the liberty of the children of God… to all appearances, [they] live like everyone else, but interiorly are very different. What dominates others, they dominate, and this because they want only God. Thus their will is not deflected, much less carried away: in other words, they are free.” All of this reminds us of a book we all read in our training in the early years of our religious life in Carmel, and the title says it all: Independence Through Submission. Let us look into our own lives and see if we are really free. Or does the world, its superficial judgments, its inane pastimes and pleasures without a thought of God, pull us down to a kind of slavery and captivity that burdens our hearts? We spend years bargaining with God. Shall we give Him all? We are unable to decide. We refuse to divest ourselves of many plans, desires, hopes, and so we do not attain that emptying out of spirit which is necessary if we are to be fully possessed by God. We fight against God, Who asks us to give ourselves to Him without reserve. Weighed down by our self love, blinded by our ignorance of God’s Will, held back by our fears, we dare not take the step, and because we are afraid of being more miserable, we remain in our misery. If we gave ourselves to God, we should be free. – Father Lallemant, S. J. We promised in our last newsletter that in all future letters, we would give brief explanations of the history and purpose of some of certain devotional sacramentals of the Church. We would like to present this time the fascinating, edifying story of the Badge of the Sacred Heart. And it is fitting for this letter, since we spoke briefly above about the French Revolution. It was then and there, in the midst of conflict and fear, that the badge found its more universal use. The familiar Sacred Heart badge owes its origin to St. Margaret Mary. During one of the many apparitions she had of Him, Our Lord expressed a wish that those who loved Him should wear or carry a picture of His Sacred Heart. 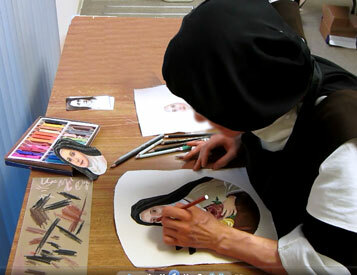 St. Margaret Mary responded by making some little pictures which she and her friends carried. They were really the first Sacred Heart badges. Thirty years later, the city of Marseilles, devastated by the plague, consecrated their city to the Sacred Heart. Everyone present put on a Sacred Heart badge. Those who wore the badge were protected by the plague, and the devotion began to spread. During the French Revolution, priests, nobles, and commoners adopted the badge, and it quickly became a symbol of resistance against the bloody revolution, especially in the Vendée region. Other counter revolutionaries took up the devotion – Andreas Hofer’s Tyroleans fighting against Napoleon, the Cristeros who fought against the Mexican revolution, and the Spanish “requetés” whose intervention was decisive for the Anti-Communist Catholics in the Spanish Civil War, are just a few of them. Pope Pius IX was asked his opinion of the badge in the year 1870. His answer: “This is an inspiration from Heaven. Yes, from Heaven. I am going to bless this Heart and want all badges made after this model to receive the same blessing, so that in the future, it will not be necessary for the blessing to be renewed by a priest. And I want Satan to be unable to cause any harm to those who wear this Badge, symbol of the adorable Heart of Jesus.” Wishing to foster the pious habit of wearing the Badge, in 1872, Blessed Pope Pius IX granted one hundred years indulgence to those who wear this emblem and pray daily one Our Father, one Hail Mary, and one Glory Be. Although we have offered a Sacred Heart badge for many years, we have always wanted to design a badge closer to the origins of St. Margaret Mary’s first badges – and more according to the way Our Lord presented His Heart to her for devotion. At last, this new, more traditional badge is available. 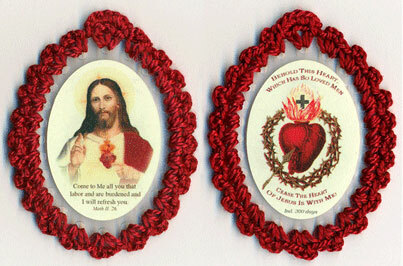 Besides our new Sacred Heart Badge, please click into our New Items to see what other new gifts and sacramentals we’ve added in these last months. There are a few books and greeting cards, but note particularly the Consecration to the Sacred Heart Framed Certificate and tapestry rosary pouches in new colors. The pouches, besides being roomy enough to fit larger-sized rosaries, are very sturdy and have a soft felt lining that protects the rosary from scratches, tarnish and wear. Since July is, as we said above, such a month filled with Carmelite feasts, perhaps you would be drawn to read some of our more unknown Carmelite titles. Third Order Carmelites will be interested to see the old VADE-MECUM of the Tertiaries of Carmel, originally published by the Carmel of Boston, but newly reprinted by a zealous Third Order Carmelite Sister and friend of our Community. She chose a gem here for reprinting, especially for Bossuet’s short piece on prayer at the end. Carmelite Devotions and Prayers for the Special Feasts of the Liturgical Year is another wonderful book for all wearers of the Brown Scapular. Jessica Powers was a young lady, who before entering Carmel in the 1950s, was a well-know Catholic poet who had published a number of volumes of poetry. We now offer her Selected Poetry, a fine collection of Sister Miriam’s best – and an excellent book to use for meditation and prayer. 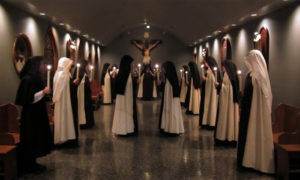 The little volumes of Thoughts From Carmel are unique collections of quotes and sayings of the Carmelite Saints and holy religious. We have reviewed in a past newsletter The Prophet of Carmel – a book that opens up the pages of the Old Testament in a wonderful way to reveal the great, zealous Prophet of God, Elias, as a humble traveler in this world, just as we all are. Meet a man, who, though severe with God’s enemies, was extremely tender with God’s true children and followers. He lived always in God’s presence and fought zealously for the worship of the one true God. He defended God’s law in a solemn contest on Mount Carmel and afterwards was given, on Mount Horeb, an intimate experience of the living God. The inspiration that was found in Elias from the days of the “Sons of the Prophet” was taken up by subsequent generations with the establishment of the Carmelite Order. 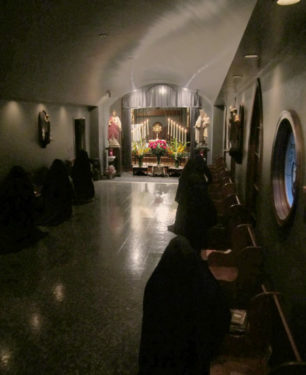 This inspiration so pervades the Order’s whole history that the Prophet may deservedly be called its founder (Feast on July 20) and the founder of the Carmelite Ideal of contemplative prayer with zeal for God’s Law. Lastly, we recommend to those fond of adventure stories, Dove With the Scarlet Collar, the biography of Mother Elias of the Blessed Sacrament. 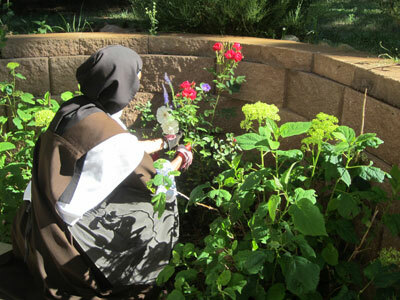 She was a 20th century Carmelite who suffered through war, revolution, homelessness, poverty – and was responsible for the foundation of many of the most revered Carmelite Monasteries in the United States. Another strong, but gentle character given to God through the Our Lady of Mount Carmel. photographs taken of her in her lifetime. Our first attempts were anything but encouraging, and we quickly realized that embroidery alone would not give us the image we wanted. The heavier threads used in today’s machine embroidery cannot not pick up detail like the thin silk threads used in the past with hand embroidery. We found our inspiration from an appliqué on an old vestment – a combination of embroidery and paint. After laying the “groundwork” and basic shading with thread, the finishing details would be the happy work of our two “artist” Sisters. How astonished we were to see how things progressed and the first “sew-out” looking more -than-vaguely like our Saint! 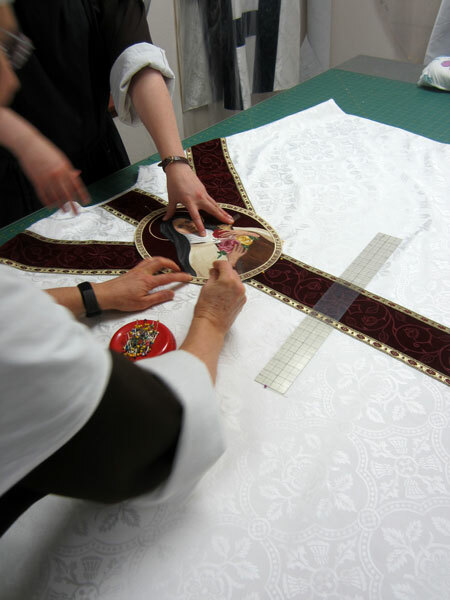 Our embroidery sisters and artist Sisters worked together, perfecting the fine details and working to make the two media blend. Manipulating the direction of the stitches gave the face a wonderful 3-D effect and kept it from looking flat. By the time we were finished experimenting, sewing out sample after sample, we had many “St. Thereses” floating around the Monastery – each one a little different and not looking quite like our Saint. 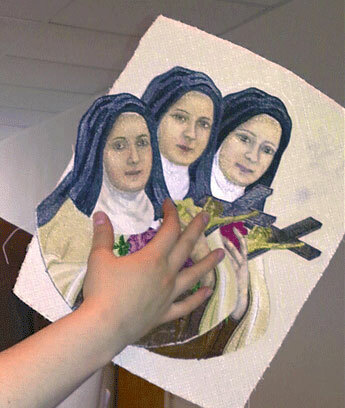 (There was one we thought looked quite a bit like Blessed Elizabeth of the Trinity!) But with forty-two colors of embroidery thread, colored artist pencils, pastels and a bit of oils, and a good deal of trial and error, we finally had what we were looking for. 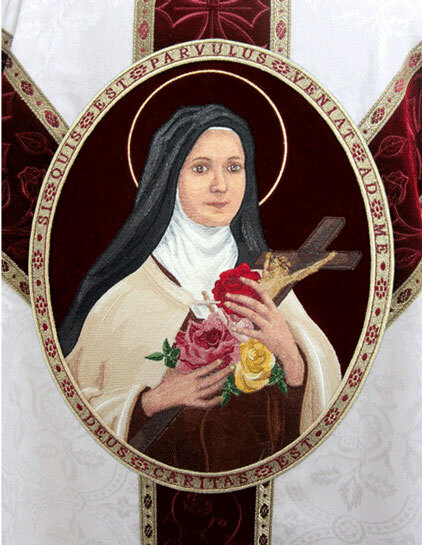 Other embroidery for the project included a simple, subdued design for the orphreys (long pieces that form the cross on the vestment), a Fleur-de-lis cross for the front, and an oval frame for the embroidered image of St. Therese. As you will see in the photos, we used phrases from Scripture that best express her Little Way: “Si quis est parvulus veniat ad me – Whoever is a little one, come to me,” and “Deus caritas est – God is Love”. A finishing touch was the burgundy and antique gold trim that we used to finish off the edges – a wonderful find from a small company in Minnesota, whose owner was so very helpful to us. A summer newsletter would not be complete without just a tad bit about the gardens. Weather in Colorado has been very different this summer, and we are now officially OUT of our 4-5 years-long drought. Eighteen inches of rain this year, compared to the normal 7-8 inches. And half of that has fallen on us since May – but not before Mother’s Day weekend sent us a brutal arctic storm that killed most of the buds on flowering trees and perennials. Some days this summer, the weather forecast said, “98% chance of precipitation,” which we found quite humorous… As glad as we’ve been to be relieved of the dry conditions and danger of forest fires, hail storms have been frequent this summer. So, the flower beds look a bit bedraggled. Perfect rose-growing conditions, except for that hail, have had the roses in and out of beautifulness! On the other hand, the covered greens and vegetable gardens have had a banner year, thanks to a dear sister-in-law of Carmelites, who generously starts these plants for us each late winter. Cooler temperatures have kept the lettuce and other greens coming on and on without any bitter taste, so that’s been a treat. The zucchini plants and beans, started later, are still small, but are racing in growth with sunnier days. Be assured of our prayers for you – for God’s perfect Will to be accomplished in each and all. And may all of us who love God and strive to imitate Christ order our lives accordingly, that we may all truly live in that “perfect liberty of the children of God”. We must all pray that the current course of society and the laws of our own nation, be re-directed to that perfect freedom – for indeed, TO SERVE CHRIST IS TO REIGN.